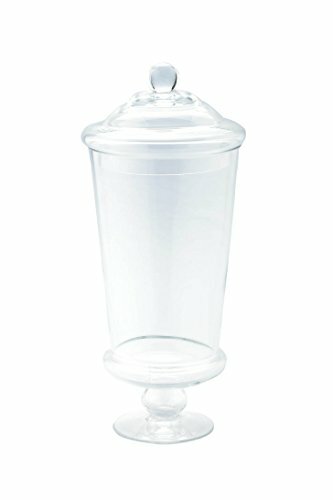 Diamond Star Glass 6"dx16" clear apothecary jar. We are the premier importer of quality glassware products. We have a vast amount of inventory to supply your needs for quality glassware products, at affordable prices. Our categories range from art glass, mercury, Plates, floral basics, garden & specialty and seasonal & holiday. With over 19 years of experience in the industry, we use both traditional and an advanced technology to produce quality glassware and with the support of our in house design team, we look to set the trend and offer new products every year. Diamond star carries the finest in both hand blown and machine made glass. If you have any questions about this product by Diamond Star Glass, contact us by completing and submitting the form below. If you are looking for a specif part number, please include it with your message.